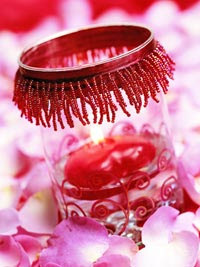 With Valentine's Day coming up, I thought it would be fun to highlight some Valentine treats, gifts, and crafts. Here are just a few that I've found. I think some of the best gifts are the one's we make ourselves, and the one's I've featured here are both affordable and simple, but nonetheless special. Cardstock and candy make up this cute craft. 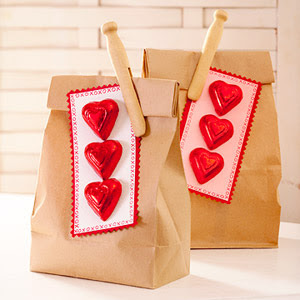 Give these as a cute valentine treat or attach them to your own handmade giftbags. 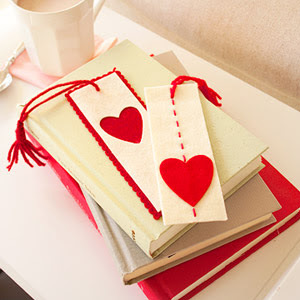 These bookmarks are a great kid craft & a good gift for your favorite bookworm. Take a candle holder, vase, or glass jar and add a few embellishments to make a beautiful gift for friends or for yourself. A little fabric and a little sewing goes a long way to make these cute & colorful heart pillow. Use as an accent piece for a couch or add a hanger to make it more versatile. 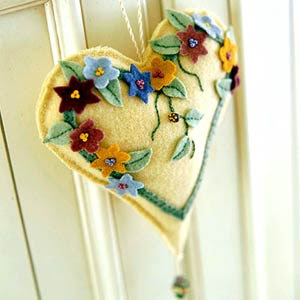 This is an easy and fun craft for kids and adults. 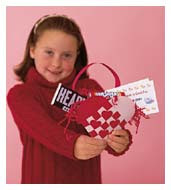 Create colorful heart shaped baskets for Valentine cards and treats. A lovely post and thanks for sharing! I really liked the cute candy cards what a great idea for Valentines Day! These are great ideas! I am definitely going to use these with my twins!! Thanks for posting them. I love them all. Great ideas. Thanks. Its a great work , i really like it. its a great work. i like this wonderful blog. I like the post. It’s really a good one. Make sure that these kinds of posts will be posted in the future also so that everyone can take advantage from these.